We offer online Iowa Plumbing and Mechanic Systems Board Division approved continuing education. Take the continuing education to renew your Iowa HVAC license today. All of our courses can be completed At Your Pace Online to help you meet the state's requirements to maintain your license. Once you finish your class you will have an official certificate of completion to save for your records. Licensees with a Single License must take 8 hours of CE, 4 hours can be taken online, prior to license renewal. People who hold Multiple Mechanical Licenses must take 14 hours, 7 of which can be online. All HVAC/R and Mechanical license renewals must be complete by June 30th every 3 years. This course covers the adoption of the 2015 statewide mechanical code of Iowa, including all the statewide amendments, a look at local amendments, and a revealing exploration of the reasons behind the 2012 to 2015 revisions of the 2015 IMC. 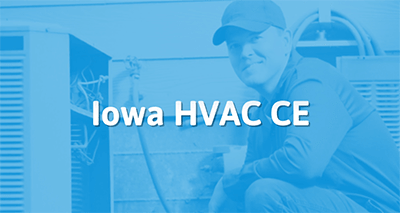 It provides Iowa HVAC contractors with 4 hours of approved CE. This course covers the adoption of the 2015 statewide mechanical code of Iowa, including all the statewide amendments, a look at local amendments, and a revealing exploration of the reasons behind the 2012 to 2015 revisions of eight Chapters of the IMC. The bulk of the class is devoted to every significant recent revision made to Chapters 1-4 and 12-15 of the 2015 International Mechanical Codes, the model code on which the Iowa Mechanical Code is based. This course provides a revealing exploration of the reasons behind the 2012 to 2015 revisions of the core Chapters (5 through 11) of the IMC. These core Chapters, include 26 changes to codes on exhaust systems, 11 changes to duct system codes, and 14 changes to sections on boilers, combustion air, chimneys and vents, specific appliances, and refrigeration, including critical provisions on locking refrigerant caps and a look at switching to new refrigerants. As a reminder, board rules require you to provide a Certificate of Completion to each course attendee at the end ofthe class. In addition, you are also required to submit a classroom roster to our office with all the required information on our sample roster sheet, along with the instructor's signature. Course approval is valid for three years. Prior to course expiration, please download and submit an application for continuing education course renewal. If the instructor qualifications or course content has changed, you must submit a new application for continuing education course approval. As you know, courses can only be taught by board-approved instructors. Please ensure the instn.rctor approval is valid and current prior to the course date. All application and renewal forms are available on our website under the Continuing Education tab. If you have not already done so, and you want this course listed on the Training Calendar available on our website, please submit a "Schedule ofCourse Notification Form" as soon as possible. If you have any questions, please contact the board office at (866) 280-1521. 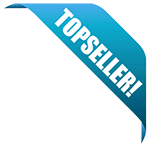 Categories of Approval & # of Hours Mechanical code - 2 Hours or HV AC/R - 2 Hours = Total of Awarded: 2 Hours Please do not give out the above Course ID number until the end of class. The ID number should be listed on both the roster and certificate of completion. In addition, the board has asked that you advise participants that a brief on line CEU course survey is available on our website at: http://idph.iowa.gov/pmsb/ under the "Continuing Education" link. Course approval is valid for three years. Prior to course expiration, please download and submit an application for continuing education course renewal. If the instructor qualifications or course content has changed, you must submit a new application for continuing education course approval. As you know, courses can only be taught by board-approved instructors. Please ensure the instructor approval is valid and current prior to the course date. All application and renewal forms are available on our website under the Continuing Education tab. If you have not already done so, and you want this course listed on the Training Calendar available on our website, please submit a "Schedule of Course Notification Form" as soon as possible. If you have any questions, please contact the board office at (866) 280-1521.